I’m at my best at night. I’ve never been really good at sleeping at night because I simply find it too intriguing. The general quiet and peace. My favorite thing to do when I was near the coast would be to go to the beach at night with my besties and just be still. There’s too much to enjoy; too much to do. I find that’s the time I want to talk the most. I want to delve deep and stay a while. I used to open my windows and listen to the various sounds from what ever creatures were singing under them. I’ve mentioned how I come up with clay ideas when I’m trying to fall asleep. Why don’t I keep a stash at home? Because I know I wouldn’t sleep more than 2 or 3 hours a night. If that. This may sound strange, but I started throwing a cylinder and all I could think about was Gone with the Wind. I love the costuming of that movie and so I made a vase inspired by those frilly confections of femininity. I made another votive and carved in a simple long oval shape and then gently pushed out the slats of clay between each opening. 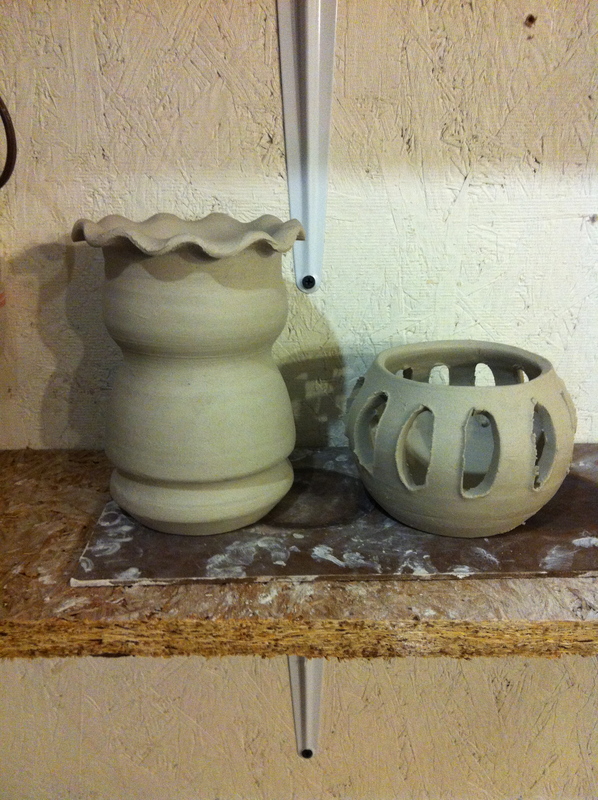 I think that one shall be glazed in Deep Firebrick. 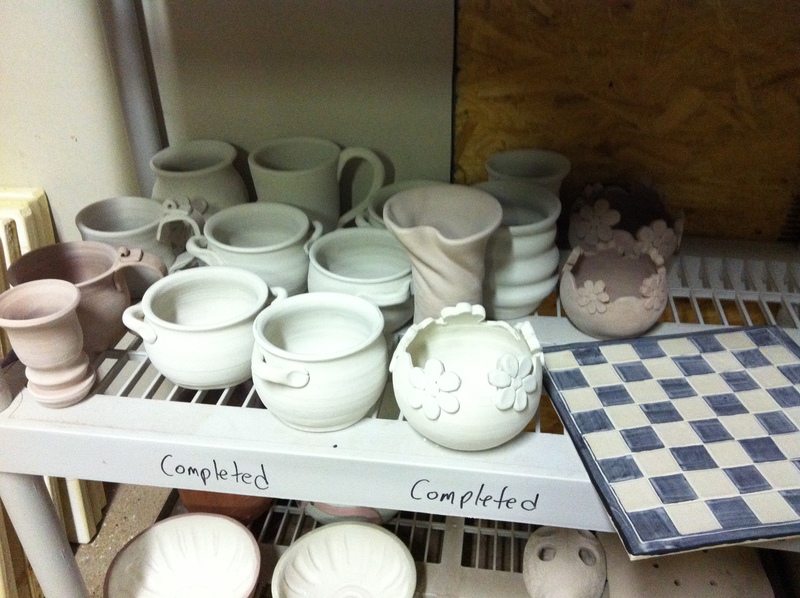 A new group is ready for its bisque fire. I don’t want to glaze the flower votives all the same so if you have suggestions please give them up! I was told today by a young boy that I should call them Fire Flowers. I like it.